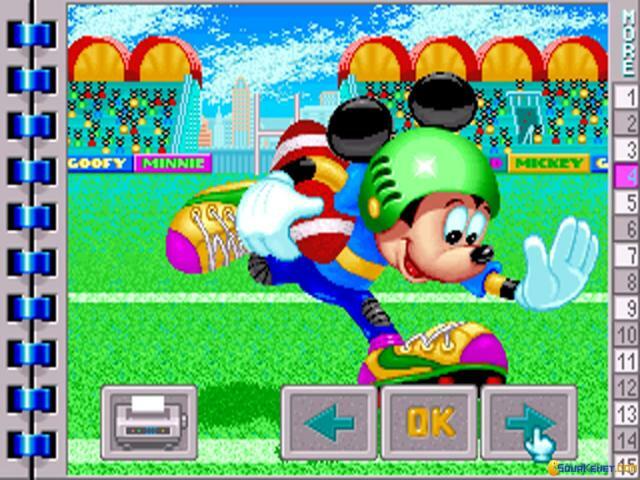 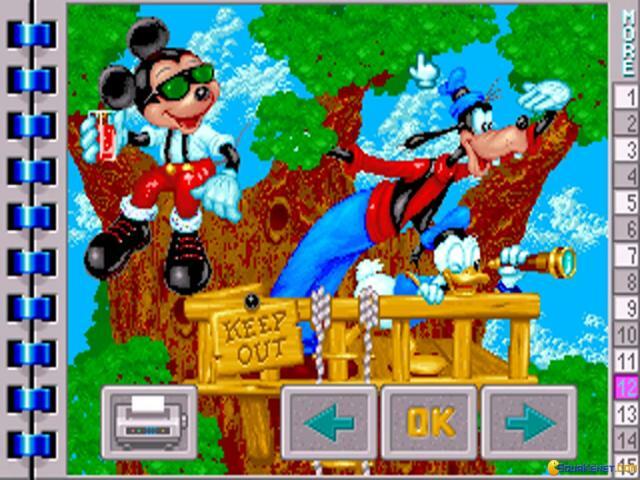 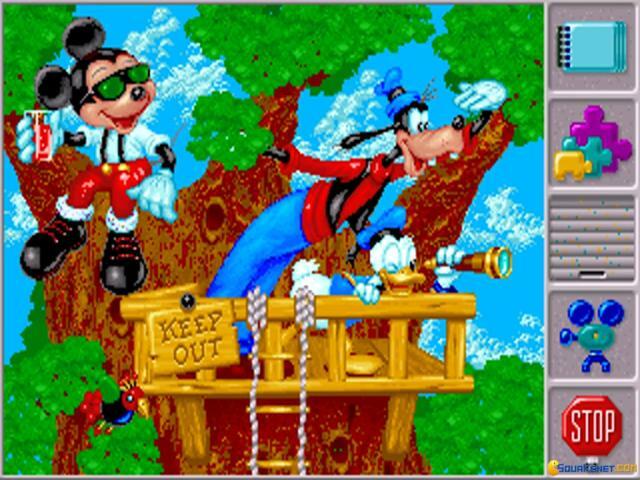 Mickey Mouse has starred in a number of titles over the years, from the classic platformer Castle of Illusion to Mickey's ABC's and most of them have proved to be a pretty decent use of the license, with all the quality you'd expect from Disney. 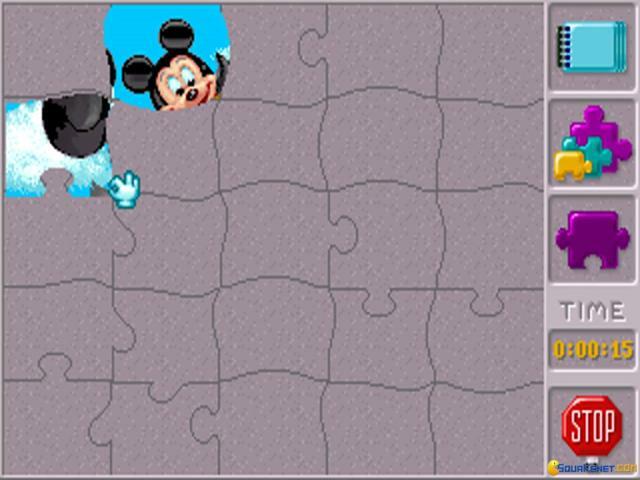 This little game is a simple enough title, but given its target market, it's understandable, and again it provides some quality educational gaming for young learners. 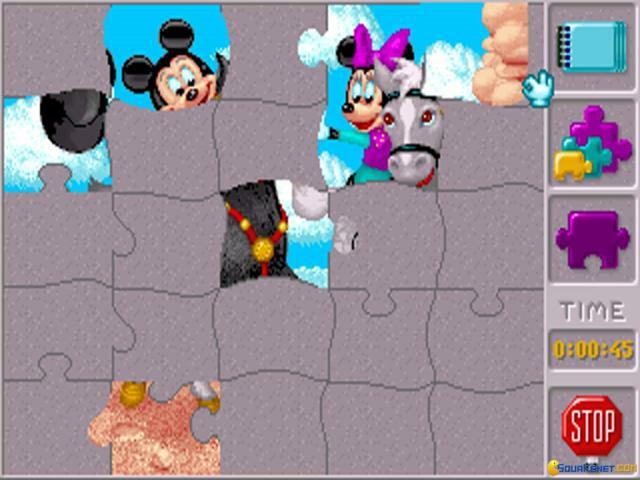 What you have here is a selection of some fifteen jigsaw puzzles, all featuring the superstar mouse and his various equally famous friends. 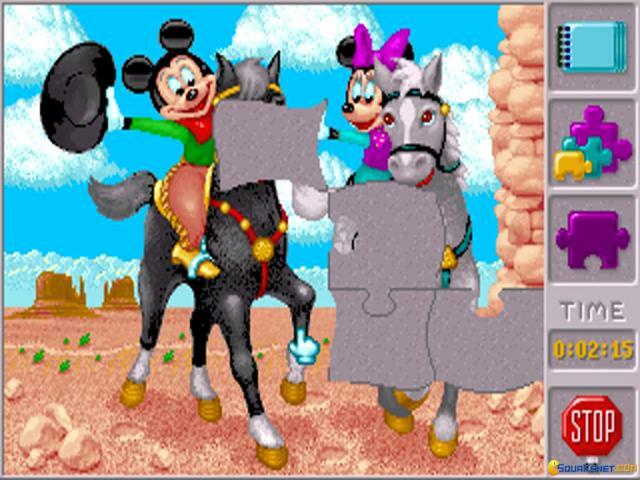 Depending on your skill level, you can choose how many pieces the puzzles are broken down into, with twenty five or more for when you're feeling in the mood for a real challenge. 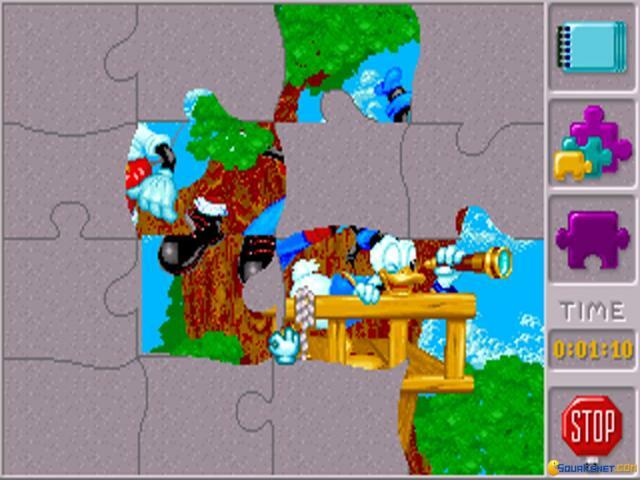 Once you complete the puzzle, you're also rewarded with a simple bit of animation, as the picture is brought to life before your eyes. 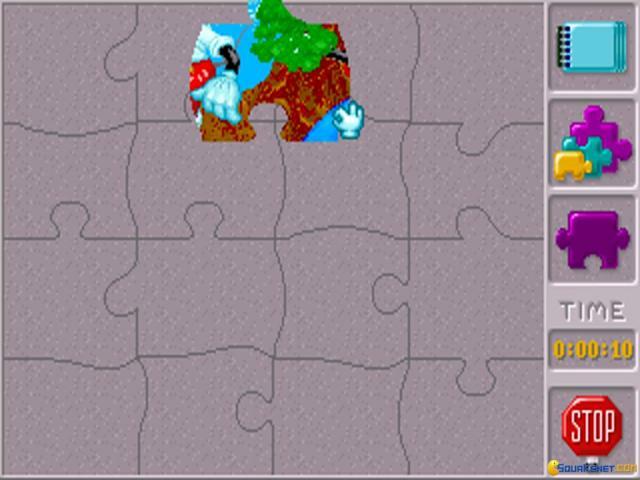 You also have the option of printing out the pictures once they're done, so you can keep a nice little memento of your achievements. 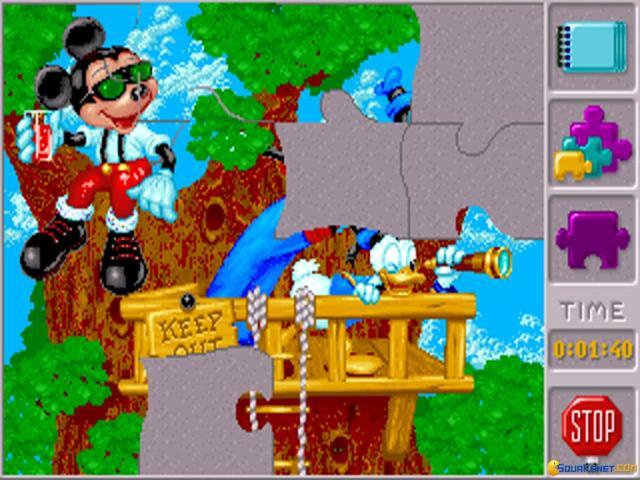 That's pretty much all you're getting here, but in terms of what it sets out to do, this is basically a good solid piece of learning entertainment. 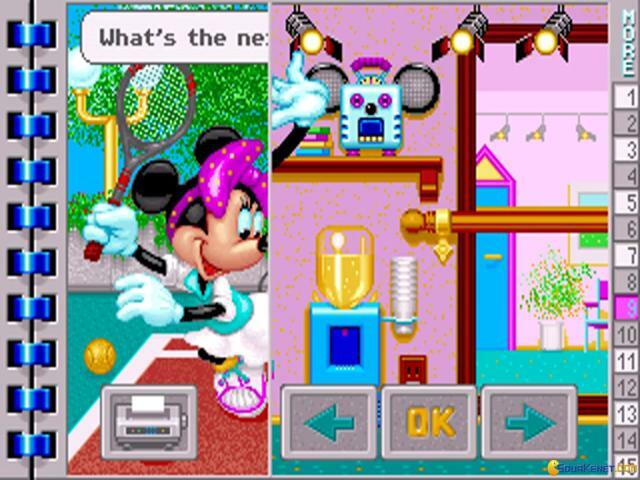 The controls are as simple as they come, so gamers of any age and experience will be able to pick this up. 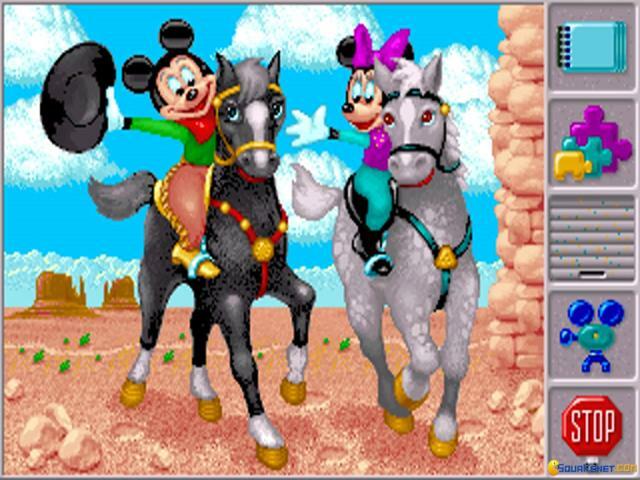 The main appeal is the visuals, and although the animation is simple enough, the actual images are just what you'd expect from Disney. 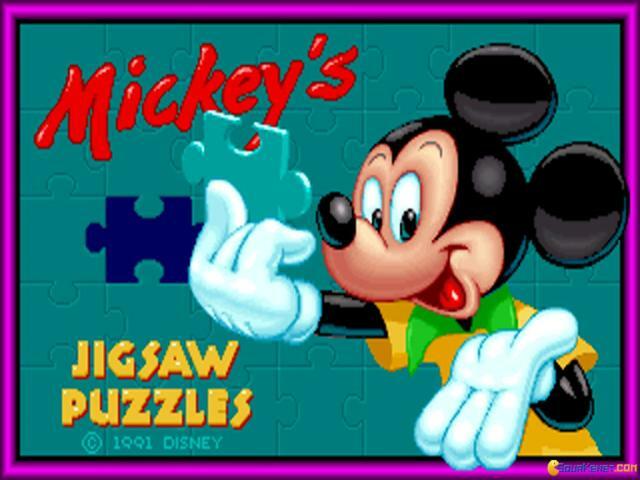 The pictures are bright and vibrant, with excellent use of color and some fine examples of the Mouse House's art, so if you need an electronic jigsaw puzzle collection, this is a good bet.